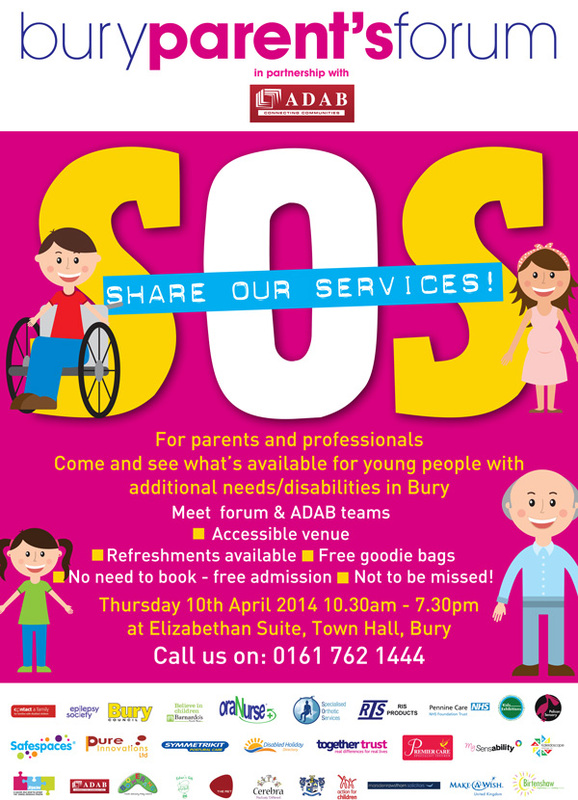 Specialised Orthotic Services are attending Bury Parents Forum in Bury on the 10th April 2014. The event is aimed at parents and professionals. A range of services and equipment for young people with additional needs/disabilities will be available for demonstration. The event is free to attend and there is no need to book. Please contact Bury Parents Forum using 01617 621 444 for more details. Or contact us at SOS via enquiries@specialorthotic.com or call 01283 812 860.